Schema.org for WordPress is nicely integrated by Genesis 2.0 but in terms of semantic complexity, it requires some advanced hand made tweaking. It is basically not possible to deliver anything customized and in ready-made format because these complex parts are the most important part of next generation web which basically is tending towards a real human custom crafted digital products. Previous Schemas for Structured Data Markup article is very important to understand the more complexity of this article – Advanced Tips for Schema.org for WordPress. If you read that article and analyze this webpage on Google Rich Snippet testing tool, you will understand the difference between significantLink and significantLinks. That is basically very basic when we are thing about implementation of Semantic Web in the form of Schema.org for WordPress, in our sub-case Genesis 2.0 (Beta at the time of publication of this webpage). We need many parts of it, like Person, CreativeWorks, Audio, Video – how many things can be ‘automated’ ; You can think about special pages like About Us. If you have evergreen content, no Google, no Yahoo! basically dominate you years after years. Even if they do not care, you can actually make money in other good ways with the content. Second thing is, basically we are requiring to code too much; that is making WordPress a kind of less useful for smaller websites. Hand coded template will work the best. Plus HTML webpage is somewhat risk free when compared to WordPress and loads faster. Third point, if you require less importance to Semantic Web, use Free WordPress Plugins that probably will work for now. Forth is using Genesis, at least still date; it is the standard and by default child theme honestly loads faster than the default WordPress theme. I have less idea about other commercial themes but they tend to make WordPress towards other PHP MySQL based CMS. Whether you use Genesis or not, obviously you can code yourself, is not it ? Give importance hierarchy and add as much details in depth as possible. 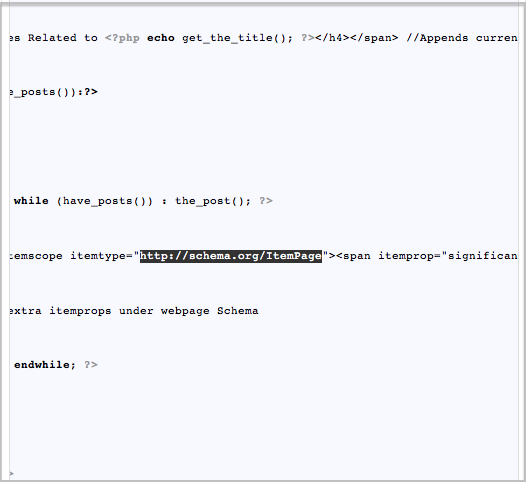 Try to add in-post schema markups. This Article Has Been Shared 4291 Times! Cite this article as: Abhishek Ghosh, "Schema.org for WordPress : Advanced Tips for Genesis 2.0," in The Customize Windows, June 22, 2013, April 23, 2019, https://thecustomizewindows.com/2013/06/schema-org-for-wordpress-advanced-tips-for-genesis-2-0/.